The first MotoGP test of the season in Sepang ended today, after three days of dry testing (with the exception of the last hour on day 2). For many riders, due to the awful conditions in Spain at the end of the season and the winter testing ban this is the first time they’ve done any real laps on the bikes. You can see the results of the test here. It’s safe to say a lot of people were intrigued at how Valentino Rossi would perform in his first dry laps on the Yamaha M1. After 2 depressing, win-less years at Ducati Valentino even admitted doubting himself. However, ending the test just a tenth behind team mate Jorge Lorenzo it was quite clear that the Doctor can still ride a bike fast despite being around ten years older (a lot more in the case of Marquez) than his closest rivals. Anyone who knows what they’re talking about would have tipped Rossi for race wins in 2013 and prior to this test I’d have happily settled at just that, however can you really write off a championship challenge from a man that already has 9 titles under his belt? It’s far too early to say that Rossi will contend for the championship this year, but it’s far too early to say he won’t either. One thing’s for sure, both he and his mainly Australian entourage look very happy, but as they will be aware, there’s still a lot of work to do. Dani Pedrosa stormed to the top of the time sheets on each day of the test, holding his position well. The Spaniard knowing full well that if he doesn’t get a title soon he could quite easily be chucked out of the team in favour of someone younger such as Bradl. 2012 was Dani Pedrosa’s best season to date, taking Stoner out of the equation Dani was the fastest man out there, thwarted by only Jorge’s sheer consistency. Is it a surprise that Dani was fastest? Not at all. Jorge left the test very happy, after undergoing a fast, consistent race simulation today. While Jorge is fast, what sets him apart from the rest is his ability to be consistently fast, obviously this helps in races. My counting may not be accurate here but as far as I can tell, today Pedrosa actually only did three laps in the flat 2.00s, Rossi in 3rd did two laps under the 2.01 barrier – Lorenzo did 15 including a run of 5 in a row during what seems to be his race simulation. If you were surprised that Marc Marquez was up the sharp end from the word go, you haven’t paid much attention to the 19 year old’s career previously. He took the 125 championship by storm, if it wasn’t for a crash he’d have taken the Moto2 championship in his first year too. The kid is seriously talented and he’s going to be a serious force this year. He had a little tumble today, you’d probably have been foolish not to predict that he’d have a fall in the first few months, look at his first few races in Moto2, he’d either put it on the podium or bin it. 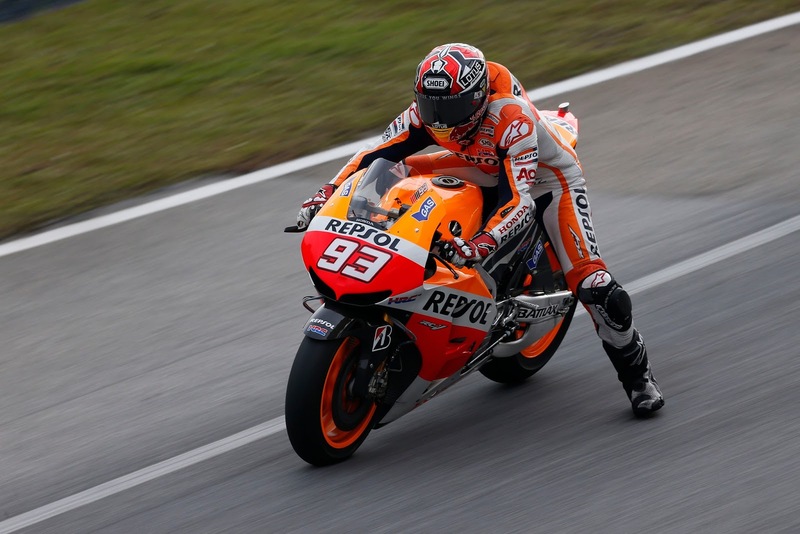 A lot have predicted Marquez will have a fair few crashes as he gets used to the Honda, will it stop him? Of course it won’t. Marquez is one of the things this championship has been missing, someone with the “get out of my way, I’m winning this one” attitude. Whilst Lorenzo, Stoner and Pedrosa have been beautiful to watch, they are way too kind to each other on and perhaps off track. With Rossi potentially back up the sharp end and Marquez thrown in too, there could be a lot less niceties in MotoGP this year. Crutchlow was of course going to bring up the rear of the top four, nobody would have expected any less of the Brit who now has 2 years of experience and podium successes. 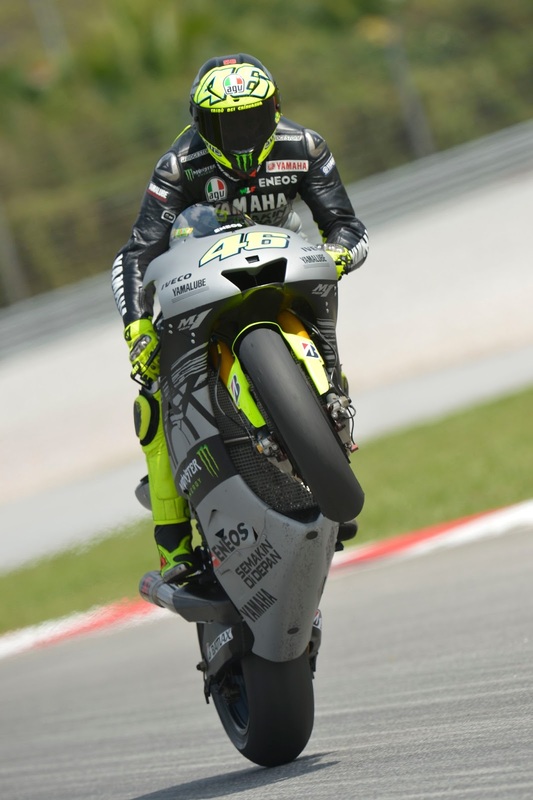 He was only a couple of tenths off Rossi too, which is positive however he needs to keep it up. The top four could very well be fighting viciously this year, therefore if he can catch up with them there is no reason he shouldn’t be able to sneak in there. Crutchlow’s biggest problem, could be Bradl – who showed similar pace to the Brit in 2012, however this year – he’s on a factory supported RC213V… Smith impressed me, I’ve always liked Bradley Smith and many forget his talent, he has won 3 grand prix! He’s been fighting with the Tech 3 Moto2 machine for two years which was quite simply not as fast as the other bikes on the grid but Poncheral did not fail to recognise that he’d signed a talent. For Smith to be within 2 seconds of the fastest rider is extremely positive, in fact – after the first test in Sepang in 2011, Crutchlow was 1.9sec from the lead too. A sign of things to come? Michael Laverty was the second CRT. Honestly couldn’t believe it, to be honest I was shocked when I saw the progress he made on Day 2. I’ve never really paid much attention to Laverty, I always thought he was a “nearly” man in BSB so for him to do this on day 3 has simply blown my mind. Not only was it his first time on the bike, it was the first time on Bridgestone tyres, first time using carbon brakes which are notoriously difficult to get used to and first time at Sepang. What? That’s some serious talent. Birdy has picked a good’un there. I’ve always thought CRT is a good route for a rider, who like Laverty, prior to CRT would never have got a chance to show their worth in GP. You expect Randy de Puniet to do well on a CRT, he’s been on GP podiums but when some bloke from the British Superbike championship rocks up and puts in the second fastest time – that turns heads and gets you noticed. Good work Michael. My only worry is that the new bike that’s heading to them for the next test, won’t be as good as the ART which let’s face it has been the bike to be on in CRT racing for the last year. 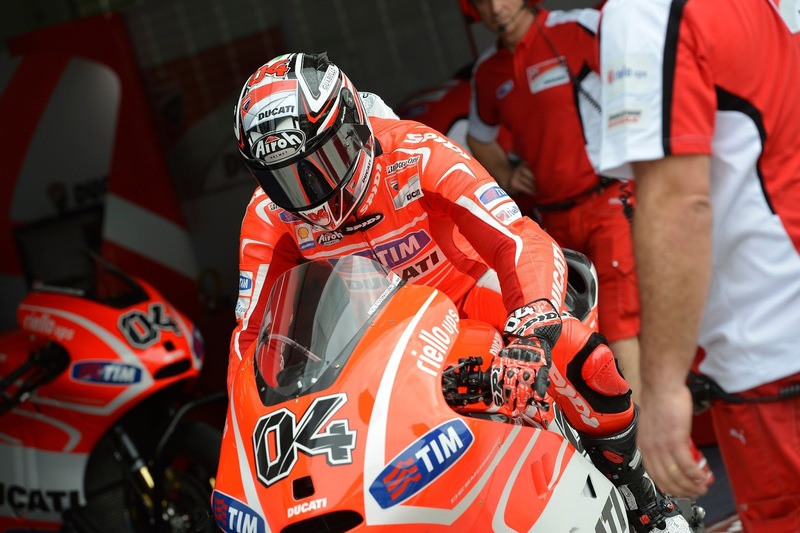 Ducati, what I will say is that Dovizioso is on the same pace as Hayden who’s ridden Ducati’s for several years now. Dovi is a fast rider, the bike just clearly doesn’t work and they need to fix it, fast. The 2013 MotoGP championship could be the most interesting for many years, not least because there are 4 potential championship contenders but there also satellite riders such as Bradl and Crutchlow who are really at the top of the satellite game and when you throw Smith and Bautista into the mix with perhaps improving Ducatis – it could be an interesting season throughout the field. Next Next post: Keith Farmer talks to PaddockChatter ahead of his debut BSB season.